Yeastar is pleased to announce that interoperability testing with CyberData’s paging and notification devices is now complete. Yeastar MyPBX Series and S-Series VoIP PBX can be work perfectly with CyberData’s devices. 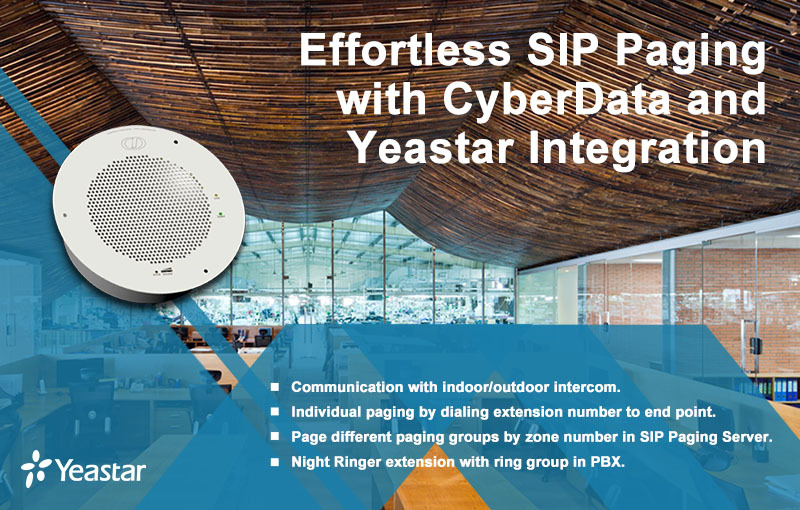 The integration of Yeastar S-Series VoIP PBX and CyberData SIP Intercoms and Paging Endpoints provides a cost-effective way to implement IP based paging and event notification. More details about this solution are available here, and the configuration guide is available here.